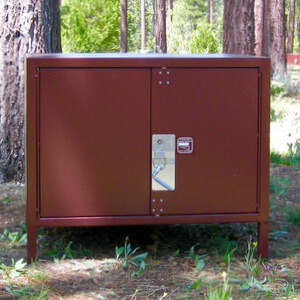 Home - Tahoe Bear Box Co.
Our best-selling residential bear boxes. Perfect for campgrounds, picnic areas, and trailheads. Most popular trash and recycling receptacles. The Original Bear Box Company, specializing in animal resistant garbage can enclosures since 2003. Designed, manufactured, and engineered above and beyond Architectural Standards Committees requirements for garbage receptacles. North America's #1 choice for animal resistant products, proudly made in the USA.